Oil prices swung wildly this week, rising to near 30-month highs after Saudi Arabia sent troops to Bahrain, then plummeting to less than $100 a barrel on expectations that an earthquake-ravaged Japan would demand less oil. Supply and demand are just part of the equation: Fear of a future squeeze also drives prices higher than they should be. That is not good news for a fragile economy struggling to reemerge from a crippling recession, but most experts are not predicting a double-dip just yet. That would require a sustained period of oil prices north of $125 a barrel — or another disaster in an oil-rich part of the world. Every $10 increase in price per barrel translates into about a 25-cent increase per gallon of gas. Before the Japanese earthquake, the U.S. Energy Information Administration forecast a gallon of gas to average $3.56 in 2011, with a 25% chance that gas could top $4 during the summer. That is not likely to happen unless there is a major disruption in Saudi Arabia, notes Wharton finance professor Jeremy Siegel. Based on the amount of oil the U.S. imports, every $10 increase in the price of oil equates to about a quarter of 1% of the country’s gross domestic product (GDP), he says. That isn’t enough to send the economy into freefall. “If oil stays at its current level, it won’t produce a recession,” he predicts. 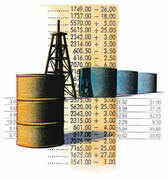 Short term, there is little the government can do to mitigate the impact of rising oil prices on the economy. Wharton experts agreed that rising oil prices are not enough of a reason to tap into the U.S. Strategic Petroleum Reserve, a cache of 727 million barrels of oil stashed in man-made salt domes in Texas and Louisiana. In recent weeks, both Democrats and Republicans have called for the government to consider using some of the reserve to help ease gas prices. Oil prices today behave differently than they did 15 years ago, according to Robert Ready, a Wharton Ph.D. student who studies the oil futures markets. In the past, a natural disaster or political turmoil might drive oil prices up momentarily, but there was always enough global supply to compensate; if one oil-producing nation went offline, another would step in to meet global demand. Embedded in the most recent spike are fears of a future drop in supply, stemming largely from social unrest in North Africa and the Middle East. Chris Lafakis, an economist at Moody’s Analytics who specializes in energy, calculates that “the fundamental price of oil should be $93 to $94” based on naked supply and demand. But due to uncertainty in so many oil-producing countries, his forecast for 2011 has the price of oil hovering around $98 a barrel, which includes the fundamental price plus a $5 per barrel “uncertainty premium” that he expects to evaporate when crises resolve. The problem is that nobody knows when that will be. The political upheaval that began in February in Tunisia and led to the ouster of Egypt’s President Hosni Mubarak has thrown a question mark over the entire region. Ongoing rebellion against dictator Muammer Gaddafi has disrupted oil production in Libya, which pumped out 1.6 million barrels each day before the crisis hit. Fears about further instability in the region increased Monday after Saudi Arabia and the United Arab Emirates sent troops to quell protests in Bahrain, increasing tensions with Iran. Saudi Arabia, the world’s largest oil producer, is still working to stave off its own protests: a “Day of Rage” scheduled for March 11 fell flat, but another is planned for March 20. Any predictions about what will happen next are “pure speculation,” says Howard Pack, a business and public policy professor at Wharton and co-author of The Arab Economies in a Changing World. “This story is in its early stages,” he notes. “It’s all very unpredictable.” Arab countries are buckling under a bulge of college-educated youth who can’t find jobs and are frustrated with stagnant autocracies. But even if popular uprisings overthrow current regimes, new leaders may not know how to move the countries forward. It is not clear, for example, whether Egypt’s military will take on the types of economic reforms that the country needs. “These countries with new governments might end up looking more like Eastern Europe from 1990 to 1996 [after the fall of Communism in the region], when GDP went down by 30% to 40%,” Pack points out. The earthquake in Japan has thrown another puzzle piece into the mix. Japan is the world’s third-largest oil consumer behind the United States and China, and the world’s second-largest net importer. The devastating earthquake and tsunami that hit Japan on March 11 shut down a quarter of the country’s refining capacity and 11 of its 54 nuclear reactors, according to Reuters. Workers are still scrambling to stabilize four damaged reactors at the Fukushima Daiichi nuclear complex in northeastern Japan.